When E15 fuel entered the market in 2010, it was approved for use in vehicles 2001 and newer. Now, seven years later, 2001 and newer vehicles represent about 90% of cars on the road. And along with this large market, has come a burst in popularity for the fuel. Growth Energy performed a series of focus groups to study the feedback for this still relatively unknown product—two in Raleigh, N.C., two in Minneapolis and two in Denver. Vice President of Marketing Mike O’Brien points to three key reasons for the increase in E15 usage and popularity: higher octane, which can lead to enhanced engine performance; the environmental benefits, as it burns cleaner; and the lower cost, as E15 usually saves consumer up to 10 cents per gallon compared to unleaded. O’Brien notes that purchasing fuel is something consumers don’t want to think about. “It’s something they have to do, something they’ve been buying forever that’s worked just fine,” he says. Growth Energy conducted consumer research to learn more about what would encourage consumers to care about E15, and one thing that came up repeatedly was the higher octane in E15. “Consumers liked the fact that it’s an 88 octane versus an 87 because they felt it enhanced their engine performances a little bit,” he says. O’Brien says that consumers are interested in the fuel’s earth-friendliness, but there are other benefits to ethanol as well. It burns cleaner, which translates into better vehicle performance. “They said, ‘Oh, it burns cleaner, so therefore it’s a little bit better for my engine because it keeps all the gunk out of the engine and helps keep things running cleaner,’” he says. The fuel is also a lower-cost option. This key finding, that engine performance and earth-friendly properties of the E15 fuel were enmeshed when it came to consumer preference, was illuminating to O’Brien and the researchers. Increased consumer knowledge of the benefits of E15 is one of the biggest reasons that E15 has grown in popularity, largely in part because many consumers aren’t very familiar with the fuel’s benefits. “We started testing what people thought before we told them about fuel and after we told them about the fuel,” O’Brien says. Informing consumers has helped change the perception of it in a major way, though. Prior to receiving information about E15, O’Brien says that 57% of consumers surveyed said they’d prefer to purchase regular unleaded gas. However, once information about E15 was revealed, interest in the fuel jumped from about 15% of consumers to about 51%. “We’ve taken that messaging and adapted it into the field, and we’re starting to see some pretty good pickup response from consumers as a result,” O’Brien says. E15’s popularity has come partly from education surrounding its benefits, but also from its expanded availability. In 2015, E15 was only sold at 105 sites. In 2016, that number had blown up to 626 sites; by the end of 2017, an expected 1,100 sites will offer it, and by the end of 2018, it’s predicted that E15 will be offered at around 2,000 sites. It is currently available for purchase in 29 states. 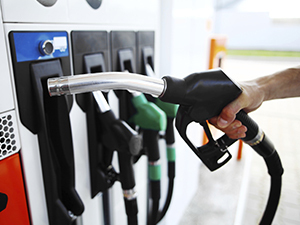 As more consumers become aware of the benefits that E15 offers—for vehicle performance, the environment and their budget—and as availability becomes more convenient, demand and purchases will continue to rise. With 6 Billion Miles Driven, What’s Next for E15?